So, what’s so special about about sailing in France? France is one of the preferred countries by tourists from all over the world. It has a rich culture, an impressive history, exquisite cuisine and a large variety of natural attractions. Paris is the most visited city in the world. Other popular destinations include the Alpes mountains in the southeast and the vineyards in the southwest. All of these destinations are inland. However, France also offers some of the most impressive coasts in the world, visited by thousands of boats and yachts visiting every year. 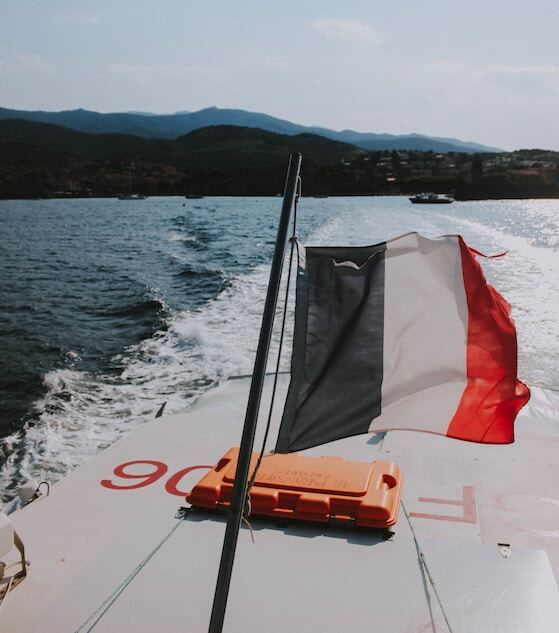 From north to south, France offers numerous ports and marinas with the most exclusive services and repair facilities, so that you can enjoy your boat holiday without having to worry about anything other than your planned route. 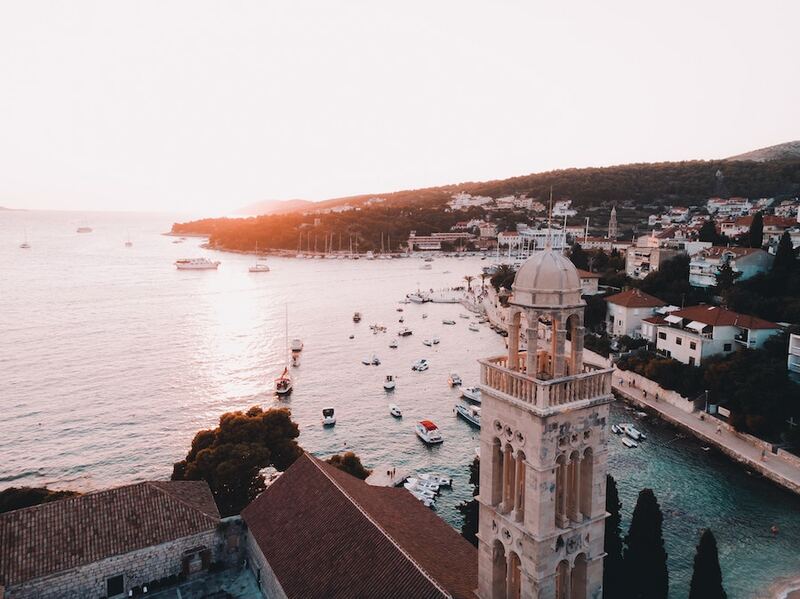 Whether you are attracted by the raw coastline of the Atlantic, the glamorous beaches of the Mediterranean, or the remote beauty of Corsica, France is the perfect destination for a sailing holiday. France offers some of the most beautiful coastlines in Europe. From the crystal clear water of the French Riviera to tidal creeks in Brittany, this sailing territory provides a great deal of cruising diversity. Acting like a magnet, France attracts sailors from all levels of expertise and all nationalities. Historically, this country has always been a land of a sailor and is still a leading nation regarding the nautical world. Famous sailors are equally famous as movie stars and some of the world’s biggest boat manufacturers are France-based. 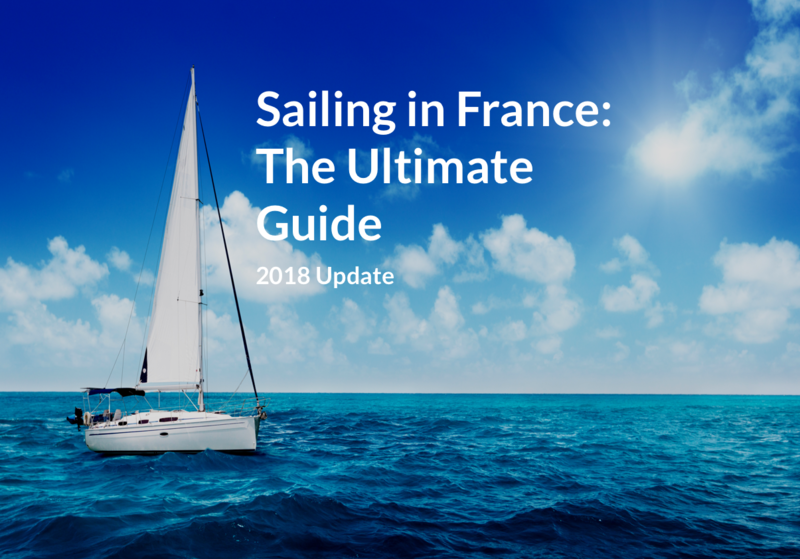 Regarding both its geolocation and its culture, it is hardly a surprise to say that France is a sailing hub and one of the most receptive countries for leisure yachtsmen. Sailing region speaking, France can be divided into three mains area. Each one has its special attraction, tradition and cuisine. The Mediterranean coast is outstanding for anyone looking for the nicest weather and those who find their pleasure ashore. Places like Antibes or Saint-Tropez cannot be beaten when it comes to luxurious yachts from all over the world. It is worth the detour. Going clockwise, the Atlantic coast, from the French Basque ports to Brittany offer natural estuaries and many lovely harbours. This is the yachting center in France as regular winds make it a true paradise for sailors. Looking for a more challenging area? 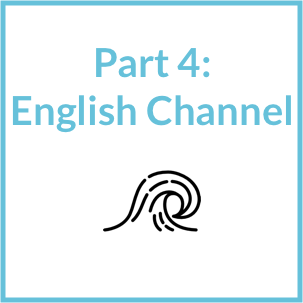 Then the English Channel is perfect for you. 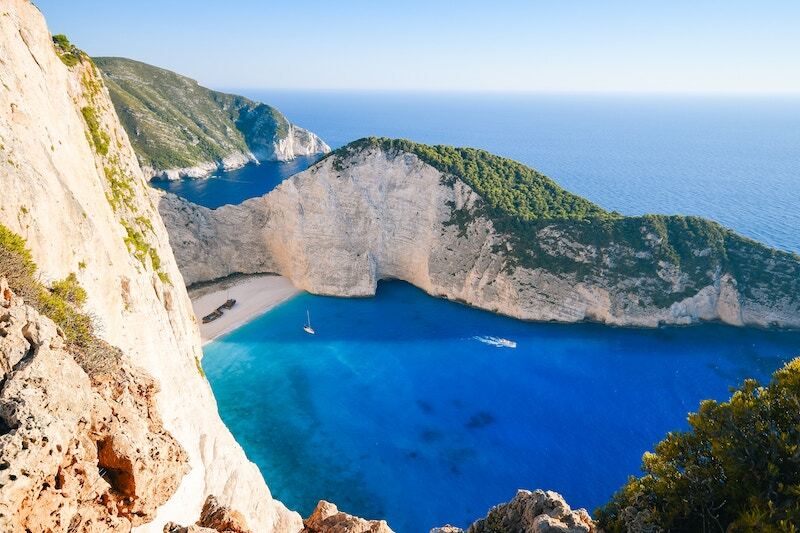 This is a lightly popular destination whereas the Mediterranean coast can be busy as a sailing region during July and August, the English Channel area is very quiet. Marinas and ports can be found all along the coastline. Most of them provide repair facilities and chandlery. Finally, cruising visitors in France will surely meet some of the friendliest and welcoming people in Europe. And for two reasons. First, the sailing community is a worldwide family. It doesn’t matter what kind of boat you’re in or your level of experience, there will always be someone willing to help you. Planning to stay in a marina for days? Most of them have vibrant liveaboard communities. Back to France, the second reason is that the French care a lot about courtesy. We’re sure you’ve heard stories of rude French people, but despite received ideas about it, the French will happily help you or share a glass of wine with you. French people like to see a reciprocated smile and if by any chance you took the trouble to learn some basic words, you’re in. Follow this and you’ll always receive a warmer welcome at the harbours than those who speak English and lack a friendly smile. Visit Corsica, nothing else to add. The best time to sail vary according to the sailing area. Without surprise, July and August are the perfect months however it’s also peak tourists period. During those two months, it can look like the entire nation own a boat. On the Atlantic side, the climate is temperate and the sailing season starts from early June to late September. The coast has a temperate climate and the winds mainly come from the south-west. The English Channel has the same weather than the UK, a few degrees warmer but as just variable. On the Mediterranean side, you can sail all year in warm weather but the coldest month are between late november to march. If you are planning to sail during this period, better have a heater in cabin. Local Forecast is in French but are quite easy to understand from non-French speakers. France is part of the European Union, hence EU regulation applies in this country. For the non-EU country, the skipper must report to the port of entry with the boat’s document and passport. In some cases, the Customs may inspect boats up to 12 miles off the coast. Concerning people who want to rent a boat based in France, worry not! All you need is a passport and your boating licence if needed. Many events worth participating are taking places all over France’s coast. Whether they are directly linked with the nautical world or not, here are some of our favourite events. The Mediterranean coast in the South of France is one the most popular sailing destinations in the world. It offers a variety of destinations, from large cities to sandy beaches, from historical towns to nature reserves. The Mediterranean French coast goes from the Pyrenees, in the border with Spain, to Menton, in the border with Italy. The most attractive regions are the Golfe du Lion, the surroundings of Marseille, and the Cote d’Azur. The entire coastline is filled with numerous marinas and top-notch repair facilities, making it a great alternative for a boat holiday for both experienced boat owners and beginners looking for an adventure in France. The weather in the South of France is particularly nice in the summer. From May to September, you can benefit from high temperatures, lots of sunlight and calm winds. Sadly, this means it is harder to find spaces in marinas. Those bold enough to defy the winter winds can also visit from October to April, taking advantage of the lower prices. 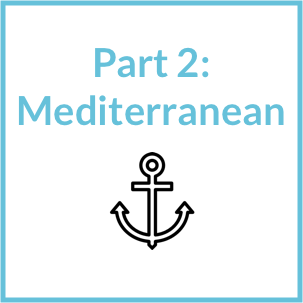 We will now list the most popular cities and towns in the Mediterranean coast, why each place is worth visiting, and all you need to know in order to sail there (how easily accessible the marina is, the facilities they offer, tips and advice). Port-Vendres is less than 10 km away from the Spanish border. It is known as a fishing town, with a rich variety of fish and seafood restaurants. Port-Vendres has a castle from the 13th century, and is adjacent to Perpignan, a historical city worth visiting. Port-Vendres is the only reasonably accessible port on the French coast of the Pyrenees next to Perpignan. The marina offers most services and includes basic repair facilities. However, the region’s strong winds and rugged shoreline, it can be problematic for beginners who are looking for a calm sailing trip. Cap d’Agde is one of the largest seaside leisure resorts in Mediterranean France. The area is extremely new: back in the 60s, it consisted of only a few small houses, whereas now it is a massive tourist destination. Agde is well-known for its naturist beach called Port Ambonne, which is right next to the city. Other tourist attractions near Agde include the medieval constructions and fortified cities in the area. The closes medieval city is Béziers, at only 20 km, and definitely worth visiting. Cap d’Agde is the main port in the Golfe du Lion, offering every service necessary and numerous facilities. The entire Golfe du Lion is known for its particularly strong shore winds, which is why accessing the marina can be difficult. Camargue is a natural park, known for its pink flamingos and sandy beaches. It is a huge wetland that offers a wide variety of landscapes, vegetation and animals. It is the perfect destination for adventurous people who love nature and photography. Camargue is very close to Montpellier, a large city with a rich culture marked by its students (roughly one-third of the population consists of university students). Port Camargue is a man-made port located on the West coast of the Camargue wetlands. It is a large marina that offers shelter and various services and repair facilities. Accessing the port can be difficult because of the narrow entrance, particularly in the summer when boat traffic is intense. Marseille is the second-largest city in France. Although Marseille is not as attractive as other southern French cities, it has a rich cultural life with numerous historical buildings, museums and churches. Marseille is also known for its famous dishes, particularly the Bouillabaisse, a delicious fish stew. When visiting Marseille, it is worth taking a day to visit Aix en Provence, the beautiful city with delightful cafes and restaurants, just 30 km away. Marseille offers many options for sailing yachts and small boats, particularly the Vieux Port to the south and the Port Estaque to the north. 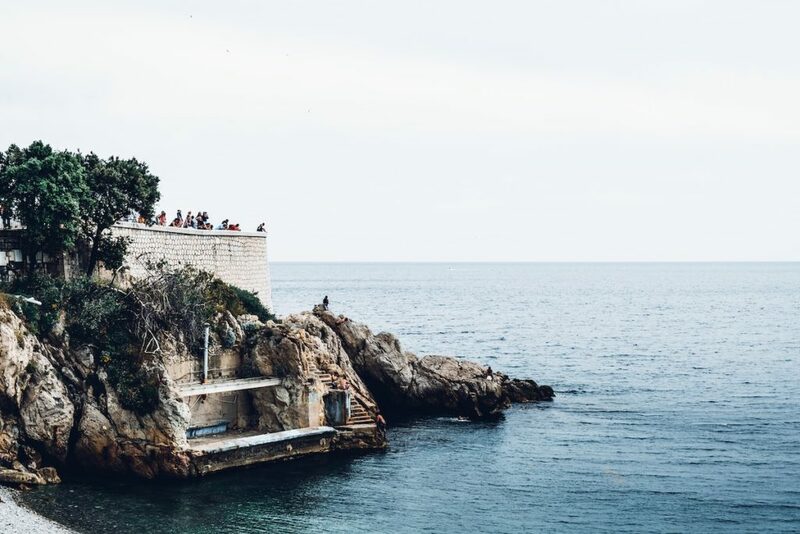 All services and repair facilities can be found in Marseille, and usually it is possible to find a place in one of the marinas any time of the year. Cassis is a small town just 25 km east of Marseille. The town itself is very pleasing, but it is an extremely popular destination because it is right next to the Calanques National Park, a beautiful area of steep cliffs and valleys with spectacular panoramas. It is a great attraction for hikers and rock climbers. Cassis is a port of entry. The marina is not very large and is usually full during the summer. Cassis offers some basic services, but it doesn’t have many repair facilities. If any maintenance is needed, La Ciotat is a good alternative less than 10 km away. La Ciotat is a small picturesque city between Marseille and Toulon. 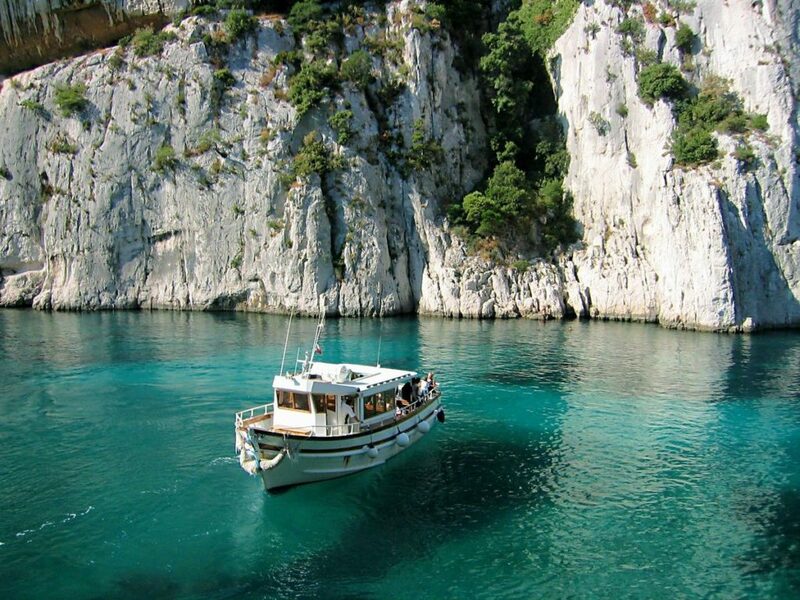 It is larger than Cassis and very close to the Calanques National Park, making it a good alternative to that town. La Ciotat has a popular port for superyachts called the Vieux Port. This port has a wide range of services and facilities, and offers good protection. Toulon is one of the largest cities on the Mediterranean coast of France. The city offers an interesting contrast between the old city, with its cathedral and narrow cobblestone streets, and the constant movement from commerce. Toulon has a large military harbor and is the home of the French Mediterranean Navy fleet. The National Museum of the Marine is a very popular attraction for tourists who enjoy sailing. Toulon has several ports, all of them easy to access and offering good shelter. All of these marinas offer the necessary services and maintenance facilities; however, it is advised to avoid getting in the way of a possible military procedure. Hyères is a small city with beautiful beaches and a lovely historical part with old castles and churches. The main attraction for sailing trips are the islands facing the city of Hyères: the Porquerolles Island and the Levant island. These islands offer beautiful sights and a variety of activities including camping, snorkeling, and kitesurfing. Hyères-Plage is the seaside resort on the coast of Hyères and it includes a large marina where it is most likely certain find a place. Hyères-Plage offers most services but doesn’t have repair facilities. If any maintenance is needed, Toulon would be the closest large port at less than 20 km. Saint-Tropez is one of the most famous tourist resorts of the Mediterranean – and arguably of the world. Saint-Tropez was made famous by French artists first, and by the American Jet Set next. Saint-Tropez offers beautiful beaches and an incredible atmosphere that will make you feel like a celebrity from the 60s. Saint-Tropez has a port called Vieux Port, with numerous services but limited repair facilities. The Vieux Port is usually full during the summer, but other ports are available nearby. Port Grimaud and Port Cogolin are good alternatives, also offering maintenance services. Fréjus is one of the few calm, small cities in the Côte d’Azur where you can spend some time relaxing and admiring the historical architecture without all the tourism movement of celebrities characteristic of other nearby cities such as Cannes and Nice. Fréjus has the largest concentration of Roman Era constructions and several churches and museums worth visiting. The Marina at Santa Lucia is the usual destinations for yachts and small boats, and it usually has available places. It offers most services and it provides basic maintenance and repairs. Cannes is a famous city with luxury hotels and restaurants, mostly known for hosting the annual Cannes Film Festival and other international conferences. Cannes is definitely worth visiting if you enjoy luxury. 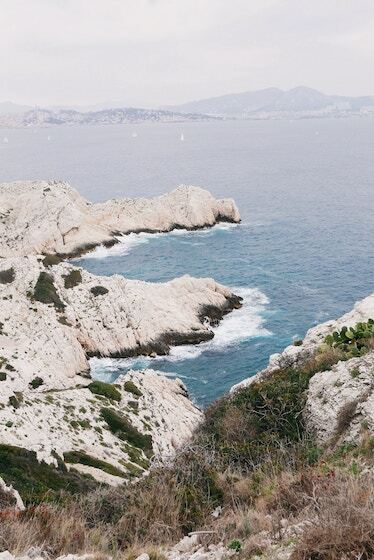 Facing Cannes is the island of Sainte-Marguerite, where you can find the Fort Royal from The Man in the Iron Mask. 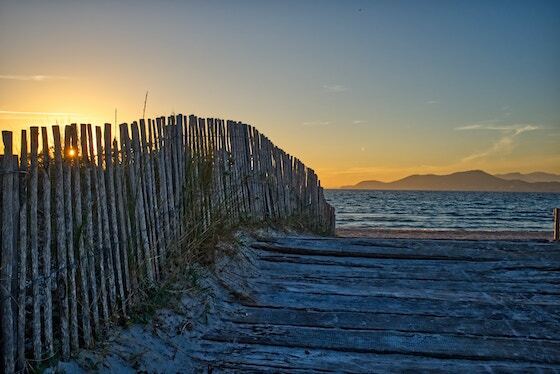 This island has a protected nature, offering an impressive contrast with Cannes. Because of the film festival, Cannes is equipped with numerous marinas built for yachts and boats of all sizes. All the ports offer the best services, and most of them include repair facilities. It shouldn’t be too difficult to find a place in one of the marinas, except during the film festival (mid-September). If you are unable to find a place in Cannes, Mandelieu-La-Napoule is an excellent alternative on the west side of the Cannes bay, just 8 km away. 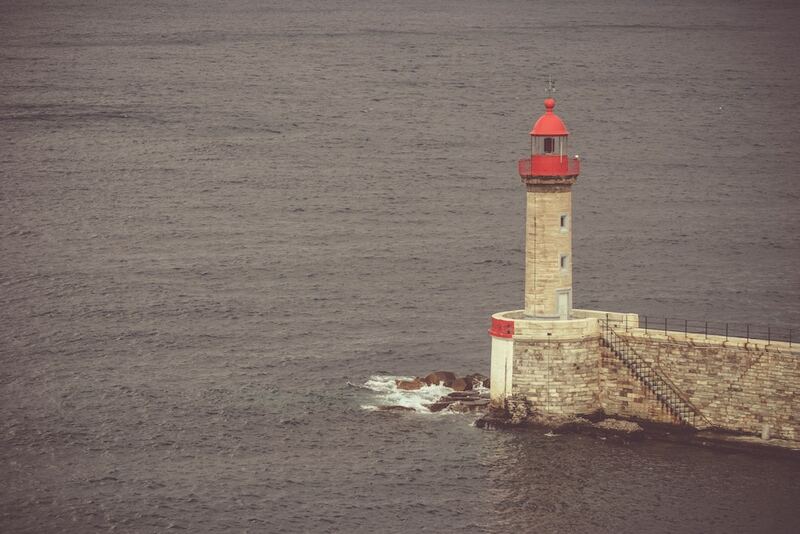 If you want some inspiration, check this boat itinerary around Cannes. Nice is one of the largest cities in France, and it is also one of the most popular tourist destinations in the country. Nice offers a unique mixture of beautiful views, historical architecture and cultural activities that make it an extremely attractive city for every demographic, regardless of what you like and enjoy. Nice, nicknamed Nice the Beautiful, was the chosen vacation destination of aristocratic families and artists from the 19th and early 20th century in the French Riviera. Nowadays, it is possible to see evidence of those times in the numerous museums like the Matisse Museum and the Marc-Chagall Museum. Nice has a marina for yachts of every size, called the Port Lympia. It is easily accessible and has every necessary service and it offers good shelter. Some repairs can be done on this port. Although Monaco is an independent principality, it is a place you cannot miss out on. 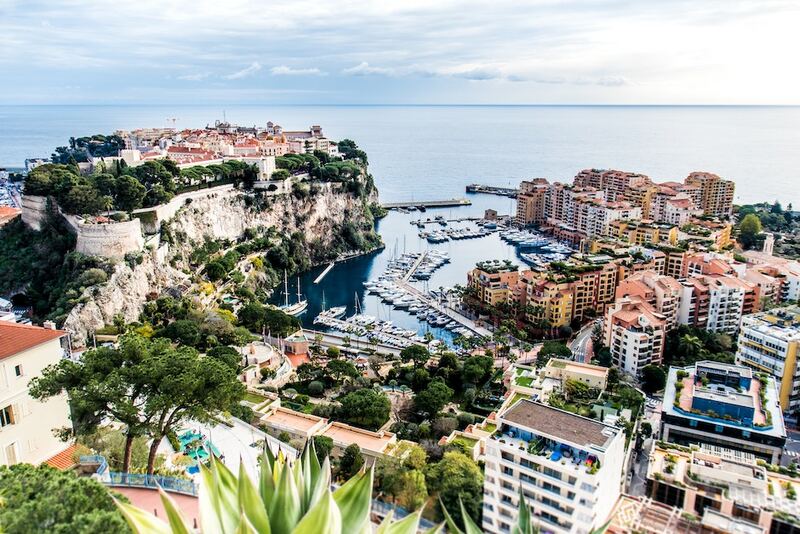 Famous for hosting the Formula 1 race every year and for appearing in the James Bond movie Casino Royale, Monaco is arguably one the most beautiful cities in the world. The main attraction in Monaco is the Montecarlo casino, but Monaco is a wonderful place to get lost walking around and admiring the numerous museums, restaurants and parks. There are two ports in Monaco, but it can be hard to find a place in any of them. Instead, there is a marina just across the border with France called Port Cap d’Ali, which offers great shelter and facilities. Menton, known as the Pearl of France, is the last city in the French Riviera before the border with Italy. It is a very small city with a notorious Italian influence in its culture and architecture. Menton has a very picturesque old town. The Basilica Saint Michel and the Jardin Botanique are the two main attractions of this beautiful city. Menton offers an old port, mainly for commercial use, with few available places and limited services. Another marina is located slightly to the north, in a region called Menton-Gravan. This port has all the necessary services and offers basic maintenance and repairs. Corsica is a large French island in the Mediterranean sea, located closer to Italy than it is to France. Corsica is an incredibly attractive island, offering a unique contrast between its mountains, cities, beaches and the sea. The island of Corsica is a great destination for a sailing holiday. It offers excellent cruising, marvelous panoramas and a very particular culture. 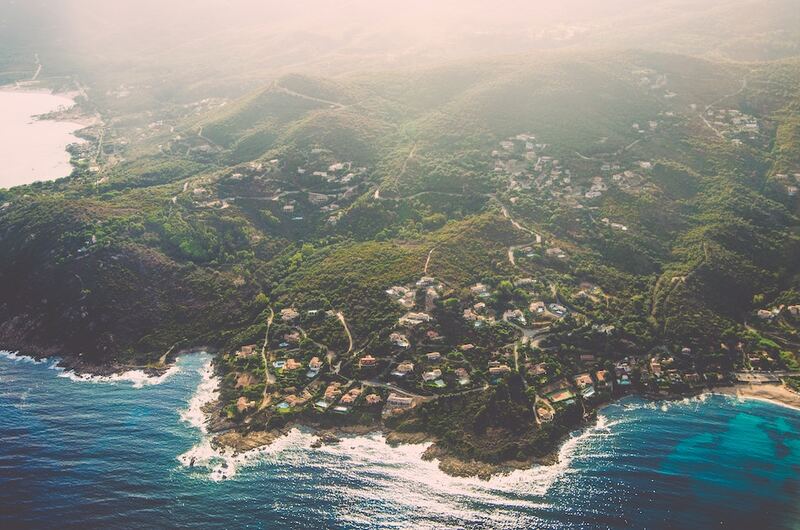 All along the coast, Corsica offers several anchorage spots, excellent marinas and top-notch repair facilities. The best time of the year to visit Corsica is in the summer: high temperatures and calm winds guarantee that a relaxed yacht sailing experience. During the French and Italian holidays (July and August), the island of Corsica – and the neighbor island of Sardinia – experience a high traffic of yachts and small boats. This means it can be difficult to find a place in a marina. During the rest of the year there is no problem with high traffic or finding a place in a marina, but stronger winds can make it difficult for beginners. Although the entire island of Corsica is worth visiting, it is the west side that gets the most visitors. It is on that side that the best beaches and landscapes can be found. On a normal tourist rhythm, it takes approximately two weeks to sail the entire west side of the island, and a month to circumnavigate the entire island. We will now list the most popular cities in Corsica, why each place is worth visiting, and all you need to know in order to sail there (how easily accessible the marina is, the facilities they offer, tips and advice). Ajaccio is the capital of the island of Corsica, and it is well-known for being the birthplace of Napoleon Bonaparte. This means there are several historical attractions in Ajaccio, including the house where Napoleon grew up and the Cathedral where he was baptized. There are also numerous natural places worth visiting, such as the Iles Sanguinaires and the Lac de Tolla. 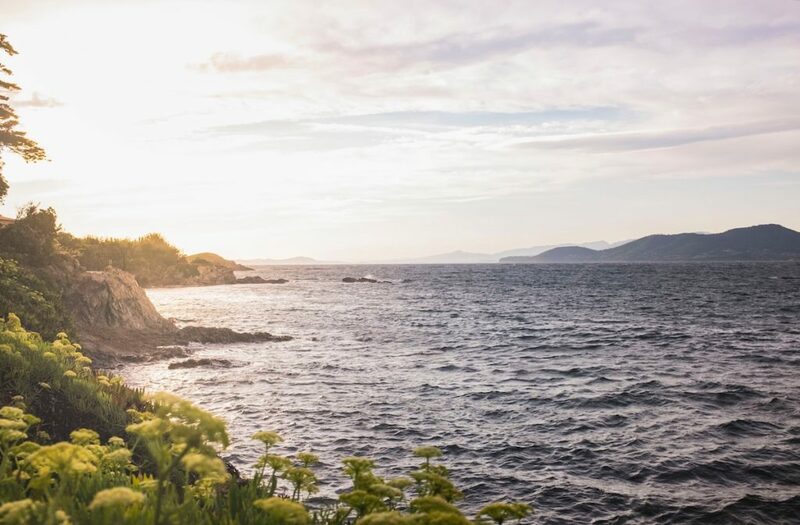 Ajaccio is a beautiful city, and because it is on the southern half of Corsica, it has a warmer climate, making it a great destination even during the winter. Ajaccio offers two marinas, in a port protected by a peninsula with a citadel. It can be difficult to find a place during the summer. All services and maintenance facilities can be found in the port, but access can be difficult with occasional strong winds. Calvi is located to the north of Corsica. It is a very popular city for tourists, with an excellent balance of nature and historical buildings, and offers a large variety of restaurants and cafes with the best food from Corsica. Calvi offers one marina with various services and acceptable repair facilities, but it is often full and access can be quite chaotic. However, there are several buoys nearby that offer a reasonable alternative, especially for those who plan on just spending a few days in Calvi. Bastia is located on the eastern side of Corsica, facing Italy. It is the second largest city – after Ajaccio – and it a perfect place to wander and visit churches, museums and local shops. Bastia is the main port of Corsica, and it is a city with a wide range of cultures and influences, with 10% of its population being immigrants. This means Bastia is one of the best cities in France to experience new food and drinks, particularly in La Citadelle. Bastia has one main port in the city, the Vieux Port, which is mainly used for commerce. It offers all facilities and maintenance services. Alternatively, Port Toga is only 3 km away, it offers great shelter, has a variety of services, and provides several transport options to the center of Bastia. Bonifacio is located on the south of Corsica, facing the island of Sardinia. It is arguably the most beautiful city in Corsica, with incredible landscapes, warm beaches and surrounded by a spectacular nature. It is a popular tourist destination and quite an expensive one. The main attraction in Bonifacio is a natural reserve, which is a mandatory visit for anyone in Corsica. The port of Bonifacio is rather expensive and is often full. It offers all services and includes basic maintenance facilities. If you want a cheaper place just to anchor Cala Paragnanu is just 30 minutes outside of Bonifacio. The Atlantic coast of France is one of the most renowned sailing destinations in the world. Although it can be quite a sailing challenge for inexperienced sailors, the Atlantic coast of France provides some of the most magnificent natural harbors and estuaries. Unlike the Mediterranean coast, the Atlantic coast is best suited for people looking for an adventure and not just a relaxing boat holiday. The Atlantic coast can be dangerous on some points and it doesn’t offer as many marinas and ports as the Côte d’Azur. Depending on the season, winds and tidal streams can be quite strong. The Atlantic coast of France offers a variety of regions, going from Brittany on the northwest (south of the UK) to Saint Jean de Luz on the border with Spain. The sailing season for Atlantic France goes from May to October. 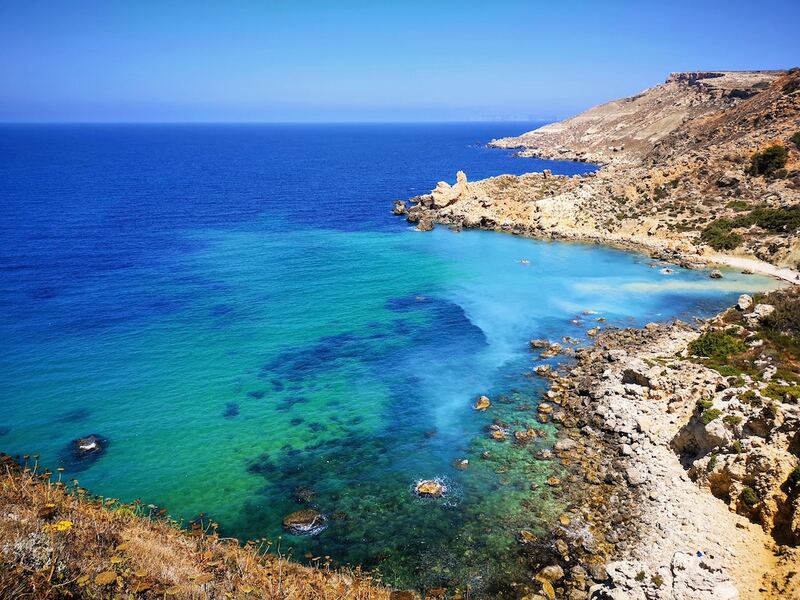 During the winter, winds are too strong and the temperature is too low, so it is best to visit during the summer when the temperature gets higher and the sea becomes calmer. The entire region offers a mixture of tourist attractions, historical buildings, beautiful natural views and amazing food. Some big cities like Nantes and Bordeaux are a few dozen kilometres away from the coast so you may consider a short visit to inland France while you are nearby. If you want to visit the whole Atlantic coast, you would need at least 4 weeks. 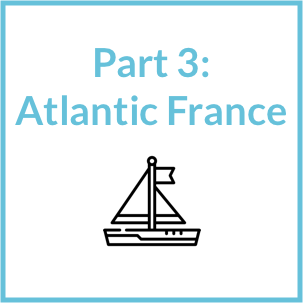 We will now list the most popular cities and towns in Atlantic France, why each place is worth visiting, and all you need to know in order to sail there (how easily accessible the marina is, the facilities they offer, tips and advice). Brest is the largest city in Brittany, known for its rich marine history. Nowadays, the city mainly lives from its port activity, but tourism is also important. The main attractions in Brest are the Tour Tanguy, a medieval tower, and Oceanopolis, a large aquarium. Sea lovers will also enjoy the National Marine museum, located inside the Château de Brest, a medieval castle right next to the port. When in Brest, it is also worth visiting the Parc naturel regional d’Armorique, a natural reserve right next to the city, with a rich fauna and flora. Although the Brest port is mainly focused on commerce, it is also suitable for yachts with two available marinas. 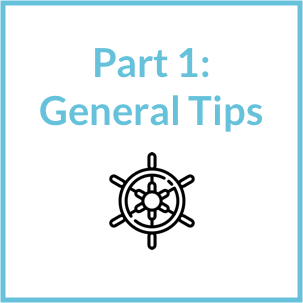 Access can be difficult because of the number of commercial ships going in and out of the port, but with some patience you should be alright. Both marinas offer every imaginable service, and provide state of the art maintenance and repairs. Douarnenez is a small city with a population of just over 15,000. This city’s main activity is fishing, so it has a big port with constant movement. It is now becoming a popular destination for tourists in the summer because of its warm weather and calm beaches. Facing the city there is an island, Tristan Island, which can be reached by foot the tide is low. 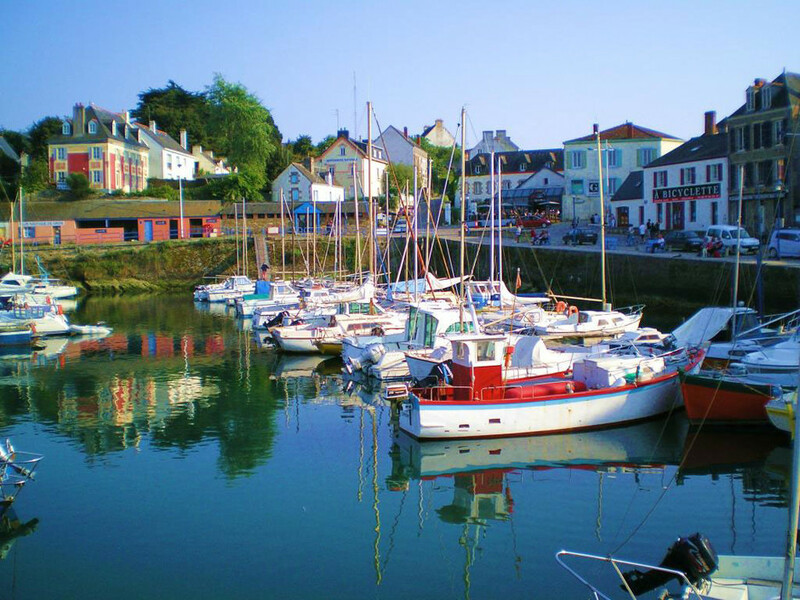 There are several ports in Douarnenez available for yachts. 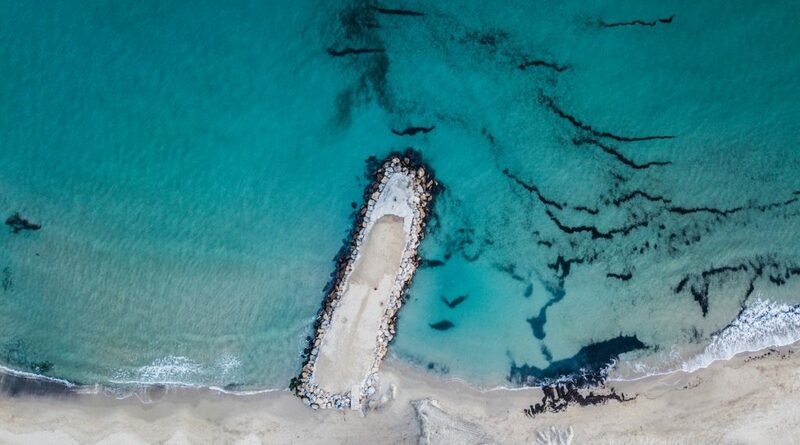 The Treboul port, on the west bank of the Pouldavid river, can be difficult to access because of frequent strong winds, so your best option might be the floating harbor at Port Rhu. It offers good shelter and basic services. Some repairs can be made on the Treboul port. Lorient is another big port city on the Atlantic coast, and it is one of the most popular destinations for yachts. It offers several activities for sailing enthusiasts, like the Cité de la Voile (a museum of sailing that includes sea excursions), the Keroman Submarine Base, and the Submarine Museum of Lorient. Lorient was invaded by the Nazis in World War 2, so those who love history will find huge value in this city and how it was destroyed and later reconstructed. Entering Lorient is easy because its natural port protects it from strong winds and tides. It is worth visiting all year round. There are several marinas up the river that offer all services and repair facilities. Saint Nazaire is a mid-size city located on the right bank of the Loire River. Saint Nazaire has a strong tradition of shipbuilding, which is kept alive in the Escal’Atlantic museum, a life-size reconstruction of an ocean liner, celebrates the city’s shipbuilding past. The city is also known for its impressive bridge across the Loire. Although Saint Nazaire itself is worth visiting, it is also the access to another major French city, Nantes, located only 50 km away. Accessing the Saint Nazaire port is easy, although marine traffic along the Loire can be quite high. There are several options for yachts, with basic services and repair facilities. La Rochelle is a beautiful city with medieval architecture and a strong maritime tradition. The center of the city is houses, churches and buildings from the Middle Ages. The Île de Ré is a small island across La Rochelle with beautiful oceanic beaches and a large lighthouse, the Phare des Baleines, that can be visited and offers a beautiful view of the city. The Aquarium de La Rochelle is one of the largest aquariums in the world, and it is a must for anyone who loves the sea. Another attraction outside of La Rochelle which is definitely worth visiting is the National Nature Reserve of the Bay of Aiguillon. La Rochelle has a commercial port, the Vieux Port, and a large marina for yachts and pleasure boats, Les Minimes. Both ports are easy to access and offer all services and maintenance facilities. La Rochelle is a very attractive city all year round, although it becomes quite full during the summer, attracting tourists from all over France and Europe. Royan is a small city that became one of the most popular seaside resorts in the world. Royan is located on the beginning of the estuary formed by the Garonne and the Dordogne rivers. It has extremely beautiful sandy beaches with a length of over 2 km. Royan has other tourist attractions worth visiting, such as Planet Exotica, a zoo and amusement park, Notre Dame de Royan, a concrete church with postwar architecture, and the Royan Museum. Royan is only 50 km from Bordeaux and Arcachon, one of largest French cities with a very rich culture. Royan becomes extremely crowded during the summer, but it is worth visiting all year round. Royan has a large harbor, although access can be difficult because of occasional strong winds and high traffic. Another alternative is Port Medoc, which is on the other side of the estuary from Royan. It offers all services and repair facilities. Bayonne is a picturesque medieval city in the southwest of France. It has a beautiful cathedral and an active old town with street markets. However, Bayonne’s main attraction is that is right next to Biarritz, the elegant and renowned resort with magnificent sandy beaches that attracts thousands of tourists every year. Biarritz has a large aquarium, a modern museum with ocean and surfing exhibits, and a chocolate museum. Bayonne’s port is mainly a commercial port, but there is a good marine for yachts because of its proximity with Biarritz. Access is safe and easy during any season through the south, with low winds. The port offers every possible service and includes repair facilities. Transport is available directly from the port to Biarritz. Saint Jean de Luz is a fishing town a few kilometers away from the Spanish border. The town is located in the Basque region, so it has its own identity different from anything else in France. King Louis XIV married Marie-Thérèse of Spain in Saint Jean de Luz, and the town has a strong historical influence from this period, including churches and museums that display beautiful art. Saint Jean de Luz has a natural harbor and port mainly used for commerce. It is not a popular destination for yachts, but the port offers some basic services and maintenance. The best time of the year to visit Saint Jean de Luz is during the summer, when the winds are calm and the sunny weather is best for going to the beach; during the winter winds can be quite strong. The English Channel is made for those who love navigation challenge, variable weather and want to test their pilotage skill. As the adage say, a smooth sea never made a skilled sailor ! The coast is splendid but the area is subject to large tidal range which is synonym of “go with the flows” meaning that you’ll have to wake up early to catch the tides. Also, a careful navigation is essential is this area. Up on the north, a dense commercial traffic passes from Dover to French Ports. Coupled with tidal ranges, many main harbours are busy and by consequence, limit their access. All of them have good provision regarding leisure traffic but still supervise entry and exit with extrem carefully. Not talking here about the movie from C. Nolan but the city. Dunkerque is a commercial port just 6 nm from the belgian border. Accessible in any condition, this city is famous for its history regarding the second world war. They are two marinas accessible to visitors and two others more for longer stay. Located half distance between Dunkerque and Calais, this lovely city is worth visiting. This walled city was designed by Vauban and is a clear example of how cities was protected from invasion centuries ago. Similar to Dunkerque, Calais is a major port from the Northern France. This is the closest town to England and it’s also a main commercial route. Note on Calais – 2018: Due to the migrant crisis, security on the port is tighter than usual. Note on the commercial route: Between Dunkerque and Calais, beware of the strong tides and the many ferry cruising. The harbour is available under any weather condition. Boulogne is a major fishing port and is also called the “Côte D’opale capital”. This city, destroyed during the first world war is worth visiting as the old town walls and castle remained. This marina is accessible in every weather condition except low tides. Every facility you need are also there. Fécamp is the first cod fishing’s port of France. A lot of famous people use to go to this port during holidays. We are entering in the historical area of WWII D-day beaches. Most of the towns and villages have been destroyed during the war then rebuild. This is also where the Seine Estuary – the route to Paris and Rouen. Major yachting center, Le Havre is only 2 hours away from Paris which makes it a perfect destination for french people wanting to escape the capital for a weekend. The marina has a huge asset as it is one of the only deep sea leisure port accessible all the time. Le Havre is declared World Heritage Site by UNESCO. Warning, this city is a must-do – a stunning beautiful port only a few miles away up on The Seine. The old-dock attracts many yachts thanks to its uniqueness. With more than 1000 years of history, Honfleur is classified as a “recommended detour” or “must-see” by most of the tourists tour. This Normandy lovely town will surprise you with its harbour, small tipical and half-timbered houses. Many good restaurants are located on the seaside and worth a try. Two marinas closed to each other accessible above half-tide. Deauville is a worldwide known city. From Hollywood’s movie stars annual retreat to its buzzing horses’ races, this seaside resort knows how to attract people. Nature lovers aren’t forgotten as stunning parks on the Mount Casiny will offer them a 360° view over the city. This port is historically attached to UK’s history. This was the starting point where William The Conqueror left France for England to claim the throne. Nowadays, it’s quite difficult to imagine a large fleet setting off the calm city to conquer England. Dives-sur-mer (or “Dives” in short) has a great yachts harbour and still attract tourists wishing to dive into the dark age past of Normandy.